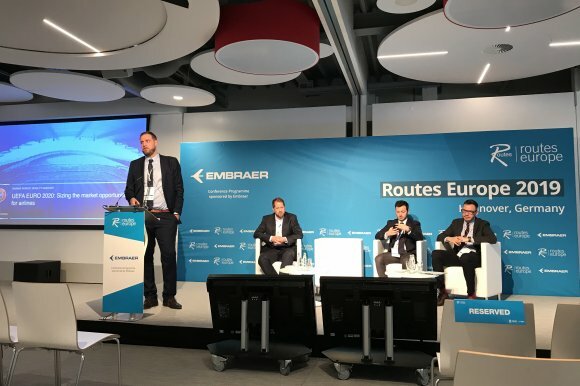 Speaking to delegates at Routes Europe 2019 in Hannover, he said the organisation expects more than two million passengers to board a flight during the month-long competition in June 2020. In addition to the UEFA European Championship, UEFA organises a cycle of major sporting events every year that are held throughout Europe, including the UEFA Champions League Final. “The UEFA European Championship and Champions League finals are our two flagship events, but they are much more than 90 minutes of football,” added Perrot. 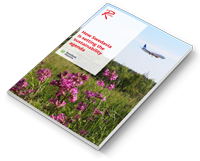 “When it comes to organising an event, we want to offer the best spectator experience possible. Transport is obviously a very important part of that; it’s usually the first and last impression of the event that the fans have.